Did you know September is Whole Grains Month? It may seem strange that there’s an entire month devoted to whole grains, but it’s because these little grains pack a big punch and can do wonders for your health! They've been linked to a lower risk of heart disease, diabetes, certain cancers and other health problems. So go ahead, stress a little less about carbs and just make sure you’re incorporating whole grains into your diet. Did you know September is Whole Grains Month? Whole Grains Month: Go ahead, enjoy the carbs! We're only sorry every month can't be Whole Grains Month. Whole grains may lower your risk of heart disease, diabetes, and certain cancers. 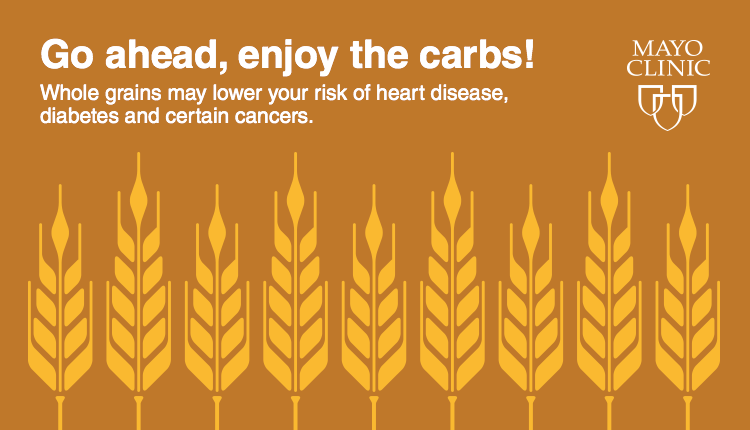 Whole grains may lower your risk of #Heart Disease, #diabetes, and certain cancers.